Nearly 40 firefighters, including masked specialist crews rushed to Melbourne City RMIT University Campus, disrupting nearby traffic on 28th April 2018, and evacuated 600 staff, all in search for a few rotten Durians. The students sitting at the University library, complained of a nasty smell as it permeated the air-conditioning system. Fearing a gas leak, the fire brigade was called in and after hours of investigation by them the cause was found. After a three-hour suspense and drama, the rotten durians were removed. The waste will be dealt with by Environment Protection Authority officers. The rotting Durian was left in the cupboard by some of the South East Asian students. Durian the smelliest fruit in the world is regarded by many people in Southeast Asia as the “king of fruits. Some even consider its nasty smell as pleasant. Durian which resembles a small jackfruit got its name from the Malay language word duri meaning thorn. 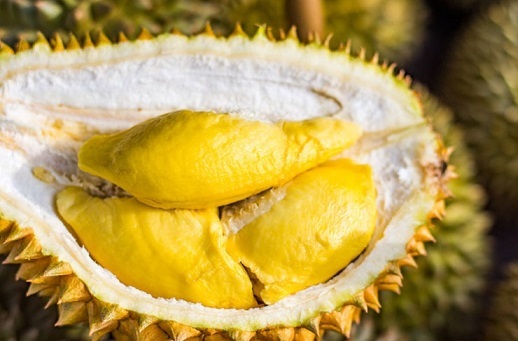 The durian is native to Brunei, Indonesia, and Malaysia. Though not native to Thailand, Thailand is the biggest exporter of Durian. Due to the not so pleasant smell, in countries like Singapore, Durian is banned in confined public places like Subways. Durian is of high nutritional value and is composed of 65% water, 27% carbohydrates, 5% fat and 1% protein. In 100 grams, raw or fresh frozen durian provides 33% of the Daily Value (DV) of thiamin and moderate content of other B vitamins, vitamin C and the dietary mineral, manganese .